Remix OS has become a bit of a darling in the Android community. In a sea of broken promises, Jide Technology has delivered quality products that have lived up to our expectations. For a time, only users on select devices had the opportunity to use Remix OS, while others looked on in envy. Last month, however, Jide Technology opened up the floodgates and allowed PCs onto the Remix OS boat. Swamped by overwhelming demand for the product, Jide partnered with XDA to host their forums. A month has passed since the release of Remix OS for PC, and with Mobile World Congress just around the corner, where will Jide Technology take the product in the future? To find out, I sat down with David Ko, co-founder of Jide Technology. In order to better understand where Jide is headed with Remix OS, it’s important to know how Remix OS came about. XDA: As you might know, the Android-x86 project began in 2009, so the idea to bring Android to computers has existed for some time. 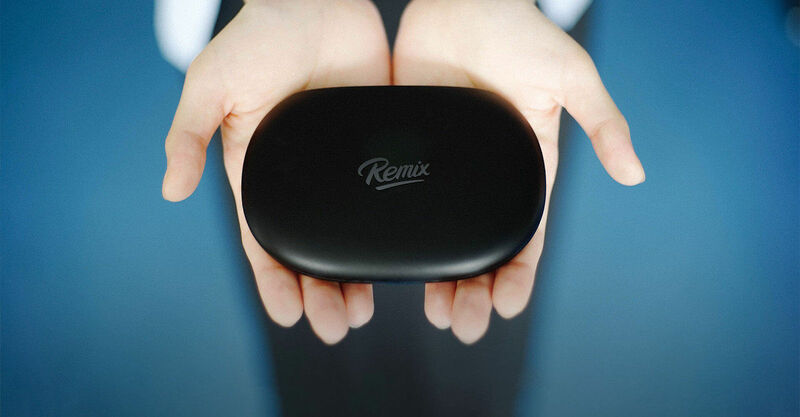 You mention in your Kickstarter that the idea for Remix OS was born in October of 2013. What inspired you to create Remix OS? Mr. Ko: In 2013, Jeremy Chau, one of the co-founders of Jide bought a modern laptop PC for his father, a lifelong computer engineer who taught Jeremy how to code when he was only 8 years old. He asked his dad the next day to see how he was liking his new laptop. The response was, “I can’t seem to figure out how to turn it off.” It took them another 10 minutes to find the power switch and in that time, Jeremy realized that there had to be a better way. The more he looked into the PC market at the time, the more he was sure that Android was the key and would be the operating system of the future. That’s the origin story behind why Remix OS exists. XDA: In your company’s About Page, Mr. Chau, Mr. Luk, and yourself are all noted to have previously worked at Google. How has working at Google influenced the creation of Remix OS, if at all? Mr. Ko: Even now, we still hold that Google is one of the best companies to work for in the world. Larry Page constantly emphasized to us to always keep the long term vision in mind, and this is something we’ve brought into the creation of Remix OS. Our co-founder David Ko had the privilege of working on projects aimed at emerging markets and the mobile space. Part of the vision that we have at Jide, is that the next billion people online will be from emerging markets. For most of these folks, Android and its ecosystem will be their first computing experience. We build with Android to make sure we can keep that Google principle: plan, work and build for the long term vision and how it will impact people 5-10 years from now. 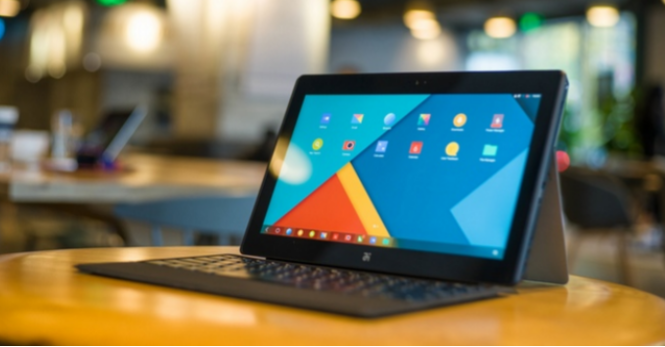 As the vanguards of introducing Remix OS to the market, the Remix Ultratablet and Remix Mini were pivotal to Remix OS’s initial crowdfunding success. We wanted to know why and how Jide settled on launching these two products to showcase Remix OS. XDA: In your Kickstarter page for the Jide Remix Ultratablet, you mentioned your intentions to ship a Remix device to backers from any tier. At the time, what made you decide to launch a Kickstarter for the Ultratablet rather than releasing Remix OS? Mr. Ko: We really buy into what Alan Kay once said, “People who are really serious about software should make their own hardware.” In developing the Ultratablet, we had to work on all layers of software and in doing so, we were able to accelerate and optimize the development of Remix OS. Kickstarter was exactly where we needed to go to find our earliest community of users. Kickstarter community members are adventurous, curious and willing to be open minded to the visions of the creators. As a company no one had ever heard of, this was a global platform that could let us tell our story to as wide of an audience as we could. The ones who responded to our message would be the ones who shared our vision, and who we hoped would engage with us in a community and help us build towards the vision we have. XDA: How did you decide on a price-point for both the Ultratablet and the Mini? Mr. Ko: We had one goal with both: to bring down barriers of access to modern technology as much as we could. We want to affect as many as we can and ask our earliest adopters to help us continue to build and develop better products. XDA: Did you have to make any compromises on the hardware? Mr. Ko: No, actually hardware consideration for us is, and always will be, in relationship to what the software needs. Thanks to our lightweight operating system, even lower specification hardware, such as that found in the Mini, brings a great experience. XDA: If you were to release a second generation Ultratablet and Mini, what improvements would we most likely see? Mr. Ko: We constantly aim to push the boundaries of Android and our goal is to always pair the software with the right hardware. If we were to release new hardware, we’d be sure to listen closely to our community and hear what they wanted most from it. What drew people to Remix OS was its productivity-focused design. Android was designed for smartphone use, and left a lot to be desired when used on larger screen sizes. Although Android N could alleviate some of these concerns, Remix OS filled the void for a lot of people. What went into the decisions behind why Jide is designed the way it is? XDA: In the Remix OS build for the Ultratablet, the status bar was located on the top of the screen – much like a traditional Android tablet. However, in later versions of Remix OS, the status bar was merged with the navigation bar – much like Android Honeycomb. What caused this change? Mr. Ko: This is why we keep bringing up our user community. We are able to work and iterate effectively by listening to their feedback, keeping our ear to the conversations that go on between community members as much as the direct contact they have with us. While we keep true to our internal vision, it’s just as important that the process of reaching our goals involves contribution from our users. In your example, this is something that our users seemed to prefer. XDA: Did you design Remix OS with touch screen tablets/laptops in mind and add keyboard and mouse afterwards, or was it your intention to target both use cases from the beginning? Mr. Ko: For the way we imagine Android PCs, keyboard and mouse optimization is a major component of the end-product. While Android was originally developed for touchscreens, PC productivity features rely heavily on the habits and shortcuts benefitted by keyboard and mouse input. Remix OS has always had the intention of merging the best of mobile with the best of traditional PC computing. XDA: In what ways can Remix OS improve to further bridge the gap between Android’s mobile design and the traditional computer workflow? Mr. Ko: Our focus is always to keep looking for ways to improve the user experience on Remix OS, and continuing to improve the keyboard & mouse optimization. As well as other features that an Android PC really needs to thrive such as device compatibility and improvement to the app ecosystem. XDA: Do you feel that Remix OS has a place on desktop computers? Mr. Ko: Absolutely. Remix OS is the expression of what we see as Android PCs. It’s really not even about the OS; it’s what you can do on the platform. Taking the Android ecosystem and bringing it together with the familiarity of PC and multitasking habits should allow users to do more and do them more effectively. XDA: What kinds of users do you feel will most enjoy using Remix OS? Mr. Ko: We do think that the folks who’ll get us right away are Android fans and developers. But we also think that casual computer users will enjoy using Remix OS. All the apps you use in your daily life are probably available on Android. Again, it’s really about what you can do on the platform you’re using. At the end of the day, that’s what computer users really need. No software solution is complete without support, especially among Android enthusiasts who crave all the latest updates. Jide Technology’s support for Remix OS doesn’t end on release, but patience is a virtue when it comes to getting the latest goodies. XDA: Now that the Android-x86 project has moved onto Android 6.0 Marshmallow, how long should we expect Remix OS to incorporate the Marshmallow update? Mr. Ko: We’ll always stay in step with the direction that Android is going in and we’ll be working on migrating to Android 6.0 very soon. When we have something to announce we’ll definitely share it with everyone. XDA: What new features should we expect? Mr. Ko: We’re certainly working on a few things but I’m afraid we can’t spoil the surprise just yet. You’ll have to wait and see! XDA: Now that you’ve released Remix OS for PCs, how much support will be given to this project? Mr. Ko: We support all of our products by making sure our resources are focused on Remix OS. It is the common thread between our products and whichever product you’re using from us will reflect the development work we do on Remix OS. Remix OS on every device sounds nice, but how does Jide plan on expanding to capture the market? The coming year will be crucial to Jide’s success. XDA: Tell me about your decision to make Remix OS free for licensing. How will you benefit from your licensing partnerships? Mr. Ko: We’re squarely focused on improving the experience our users have with Remix OS. The bigger our community of users grows, the more feedback we get, the more effective we can get at developing Remix OS. For us, it’s all about growing our user community and working with key partners will only help this aim. XDA: You recently partnered with Tecno Mobile in Africa. Do you expect most of your growth to come from emerging markets, or will you be focusing on already-established technology markets? Mr. Ko: Our aim is to positively affect as many people as possible, and that includes helping to connect the next billion people. Whether it’s through local partners like Tecno Mobile in Africa, or through well-established, global partners. XDA: What are your plans for further growth in China? Mr. Ko: We are based in China, so clearly it’s an important market to us. We do develop a localized version of our products here for the Chinese market and work on building an engaged community here as well. Simply put, our plans in China are relatively the same as our aims in other markets: to build simple and efficient tools for the mind and grow our community one member at a time. XDA: How will Jide tackle education? What area of the education market do you feel Remix OS can make a difference in? Mr. Ko: Education is a huge part of how we got to where we are, and being able to bring down costs and accessibility to modern technology is how we want to give back. Making Remix OS free for licensing as well as to the end user is our way of enabling affordable, modern computing to educators and students who absolutely need it. XDA: In the Ultratablet Kickstarter, you mentioned that you want Remix to play a role in the growing Internet of Things (IoT) market. How will Remix play a role in the IoT space? Mr. Ko: Android’s reach is growing and can be found everywhere. Communication between devices and things will continue to increase. We believe Android will play a big role in this future and we want to do our part in this exciting market. XDA: Do you plan on selling more devices in the future, or will you shift focus entirely to licensing your OS? Mr. Ko: We’ll continue to build our own products to push the boundaries of what Android and Android PCs can be. Our partnerships help us reach a bigger audience than we could alone. Though it has its challenges, building our own devices while also working with other companies only help to make both stronger and better. XDA: What is the biggest obstacle facing Remix OS adoption on PCs? Mr. Ko: Our biggest obstacle is getting the word out to all the people who could stand to benefit from Remix OS. As a young company with relatively limited resources and a small brand, we need more people to just know about Remix OS and what it can do for people. XDA: What are your company’s goals for 2016? Mr. Ko: 2016 is going to be an exciting year for us because we think Remix OS is going to get so much better and reach more and more people. We have exciting news and announcements planned and we feel good about working with our community to get Remix OS to where we want it to be. That’s all for the interview. We hope you’ve gained some further insight into Remix OS and Jide’s future plans with the software. Perhaps you’ve even become interested in trying it out? If so, check out our Remix OS forums and leave a comment below about your experiences with Remix OS.